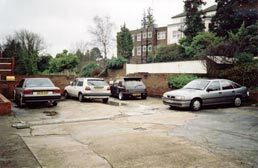 Allow us to showcase the many and varied car parking facilities available in Haywards Heath, be they of private or public designation. Statistics are shown in the new 'Heath Fact Card' style. Please note that this page is not affiliated to any particular car parking company and as such is not intended to be an 'Infomercial' or 'Advertorial'. Comment: A challenging parking facility due to its East - West sloping gradient and congested nature. Provided the motorist can confidently execute a hill start this car park can be a joy to use once mastered. Of note is the 'continental' approach where by it is common for motorists to approach the entrance on the wrong side of the road, a legacy of the now removed manned payment booth. Scores high on functionality but tight spaces mean an average Paintwork Damage Quotient. Comment: The sister facility to the 'Halfords'. 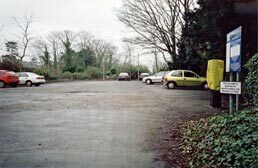 car park due to the convenient on-site adjoining road. 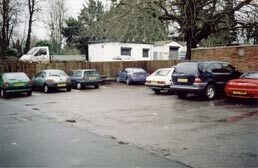 A fading star in the Heath parking sky that peaked during its service as the Sainsbury's car park up until the late 80s. Due to lack of space markings and lower use, motorists tend to give each other a wide berth hence the low Paintwork Damage Quotient. Accessibility to South Road keeps the Functionality Quotient above average but overall this is a moderate performer. Comment: A grossly underrated facility in our opinion and well deserving of it's high Functionality Quotient. Well surfaced with clear space and direction markings and easy access to South Road for those not afraid of a 2 minute walk. Ideal for accessing the more specialist shops on Heath Road. The smart motorists' choice on a Saturday morning when more centrally located car parks are filled to capacity. Comment: An obvious choice perhaps but it's capacity and incorporation into the Orchards Shopping Arena make it the flag ship facility in central Haywards Heath. With a pedestrian walk way, small trolley park and well situated disabled driver spaces it's facilities aplenty and a high Functionality Quotient. But it's popularity means it attracts all walks of motoring life and as such can lead to the odd knock and hence a small yet noteworthy Paintwork Damage Quotient. A mild gradient calls for skilled reversing in and around the lower spaces. Comment: A magnificent facility dedicated to serving Haywards Heath's out of town style in town supermarket. The gilt-edged roll call of features reads as follows; dedicated mother and baby spaces, dedicated disabled spaces, a pick up point, several well fenced and covered trolley parks, pelican crossing with bolesha beacons, recycling point catering for glass and paper and it's own bus stop. On the minus side the high trolley population means an equally high Paintwork Damage Quotient. Though well appointed we cannot mark higher than 8 on functionality due to it's use being restricted to patrons of Sainsburys and the enforcement of this regulation with uniformed attendants. A nice facility but something of a one trick pony. AKA: Is that for Robert Dyas too? Comment: As you can see from the photograph, a congested facility that tends to penalise drivers of white vans through lack of an 'exit strategy'. By obscuring the 'Private' sign with a business size bin this facility makes a rod for its own back. Nice if used out of hours but a last resort none the less. Comment: One of the nicest and best equipped private facilities in town. 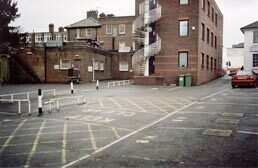 Gaining access to this car park is the parking equivalent to getting the key to the executive toilet. The area is guarded by a sign firmly secured in a concrete tub and a matching draped chain. Generous spaces mean a low Paintwork Damage Quotient. 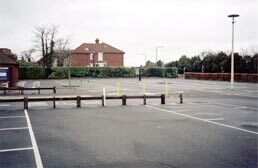 Of special note are the folding and lockable 'bollards' that serve to protect allocated spaces. Comment: A lacklustre facility with few features of note. Limited private signage begs rogue parking and lack of proper bay marking puts the capacity of this facility on a sliding scale. Note from the picture, areas of pooled water indicative of the low attention to detail. Very disappointing. 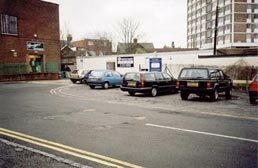 However the stock of this car park must surely have risen following the opening of 'Zizzi' the new restaurant over the road. Comment: A nicely marked and well situated private area that could put many a public car park to shame. Note the attractive bricked access kerb which combined with the surrounding greenery gives a distinctive, rural feel in keeping with the tone of the town. Our only criticism is the size ratio between available parking and the 'PRIVATE' lettering which hints at overkill or leftovers from a council job. Smart double yellow lines maintain access at all times. Comment: A well laid out area with making good use of space featuring wide access boulevards. When viewed as a facility dedicated to Clair Hall it scores high on functionality. While busy during local productions and events the facility is mostly vacant at other times. Easy access to the park and relatively tolerant attitude to rogue parking adds further functionality. 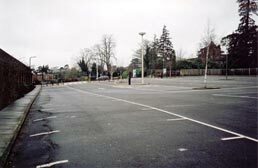 However it is important that this equilibrium is not disturbed by commuters using the car park as a free alternative to the station facilities. 1 penalty Paintwork Damage Quotient point has been added due to the narrow entry and exit barriers. Comment: This parking bay has gone through somewhat of a transformation over the years. 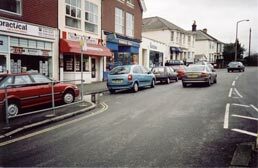 In the past motorists favoured the 'parking at an angle, nose to the kerb' approach. As you can see from the picture, 'parallel' is now the favoured stance though this is not without its problems. If you can imagine a triple edged sword; blunt - parallel aids traffic flow, sharp - fewer spaces, sharp - incidences of double parking. The driver of the red car has clearly misinterpreted the purpose of the metal barrier. 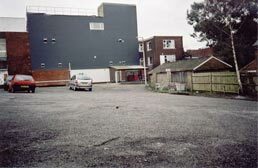 Comment: This Car Park serves the medical facility on Heath Rd. A fairly featureless facility with nothing of special note. Practical, functional and ample is perhaps all we can say. With a conveniently located cut-through it could be used as an alternative to the Church Road car park for those not afraid of a walk but please don't deprive patients of parking spaces. Comment: The sister facility to the Church Road Car Park and easily a match in our opinion. An attractive wood barriered entrance leads onto an clockwise access carousel. Though nicely laid out the facility could benefit from an additional Pay & Display machine located under the central lighting pod. 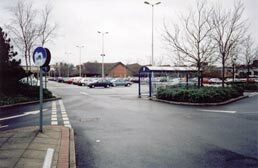 Ideal for Fads, hence its popular name, and the Orchards side entrance which places you in the heart of the shopping arena. 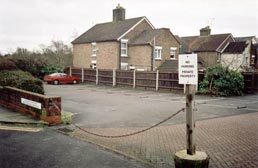 This car park scores high on functionality due to a semi on site, fee standing, male, female and disabled toilet cottage. 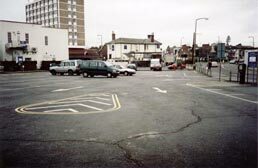 Comment: Although renamed 'Iceland', older residents still call it the Bejam Car Park. 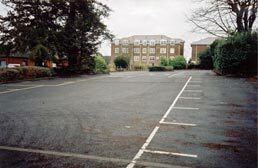 A fairly classic layout of back to back spaces each with access isle from a main access road. Caters well for Iceland but is still congested on a busy Saturday. A slight gradient means you'll have to keep an eye on your trolley or alternatively rest it on some one else's car. A particularly nice feature is the pay and display machine set into an attractive hedge. 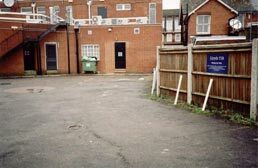 Access to Victoria park is provided by a back gate at the foot of the car park. Comment: Strictly private and for the use of Lloyds customer's only. 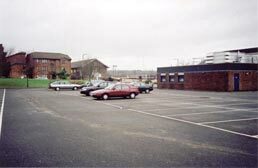 It is not uncommon to see private motorists use this car park in spite of clearly banking elsewhere. With no markings, the first few cars in tend to set the agenda for other motorists for the rest of the day. Nicely situated at the top of South Road but other than that a fairly bland effort. Congestion can lead to bodywork intrusions. Comment: An often overlooked car park that holds some surprises. Serving the Natwest banking den, a local solicitors and probably an estate agents, one could find use for this facility from cradle to grave. Use of attractive yellow cross hatchings, one-quarter size barriers and reflective bollards add colour but rob functionality and space. Worth a visit to see the tres avant-garde spiral staircase of 1980's vintage. Comment: A unique facility in many ways. 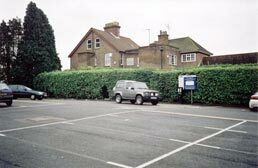 Situated on an island moated by the one way system this is one on the oldest standing car parks in town. The lack of space markings only adds to the period warmth and charm of this facility and leads to a delightfully decadent waste of space. 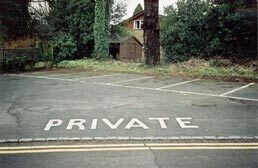 Unusually this car park has a dual public and semi-private role. Between Monday and Friday the facility is only open to permit holders. However, at all other times the normal pay and display rules are in force. Comment: A lovely place to park giving the motorist views of the grand vista that is Victoria Park and South Road. Located a few yards from the one way system, this extended bay provides access to Park Parade, Victoria Park, the Church, the South Road shopping arena and the Zizzi restaurant. Parallel parking skills are essential as poor maneuvering can cause congestion. Double parking can be a problem in spite of the lane marking clearly showing the designated parking area. Comment: Serving the Star Pub this car park is also useful if you are visiting the estate agents on the other side of the road. Though officially dedicated to the pub we can't believe that the driver of that M Class Mercedes is actually in the pub. They're probably in the estate agents. Should you wish to, this page can be printed out (colour recommended) and the 'Heath Fact Cards' cut out to make a fun 'Top Trump' style game. The game is ideal to play when queuing up to enter the above parking facilities, provided you have a passenger. 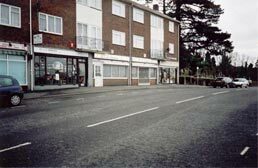 Now that you're familiar with Haywards Heath's many car parks, we suggest your read our Driving Guide to learn how to effectively command your vehicle when using these facilities. 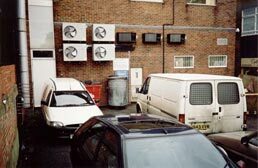 VEHICLES ARE PARKED ENTIRELY AT OWNER RISK AND THE COUNCIL ACCEPT NO LIABILITY FOR LOSS OR DAMAGE TO VEHICLES OR THEIR CONTENTS OR INJURY TO PERSONS UNLESS SUCH LOSS DAMAGE OR INJURY CAUSED BY THE NEGLIGENCE OF THE COUNCIL.